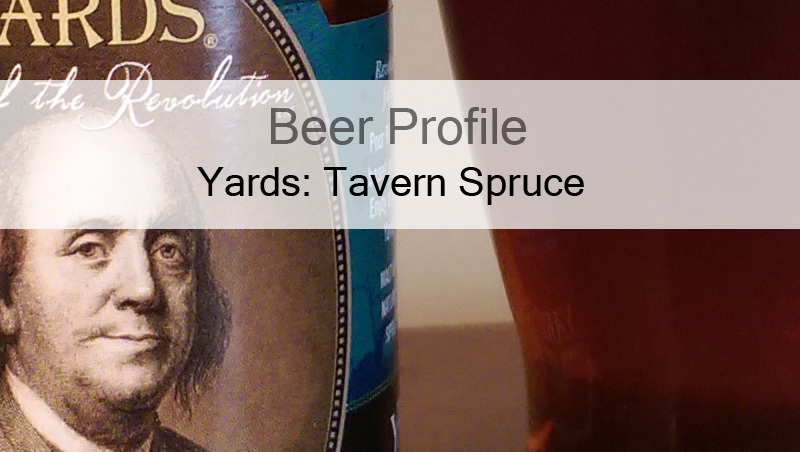 Beer Profile: Yards Poor Richard’s Tavern Spruce – Food. Beer. Stuff. 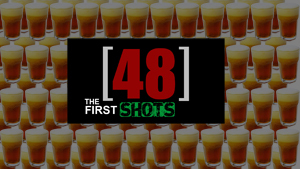 Keeping things local, today I profile a beer from the well known Philadelphia brewer Yards Brewing Company. 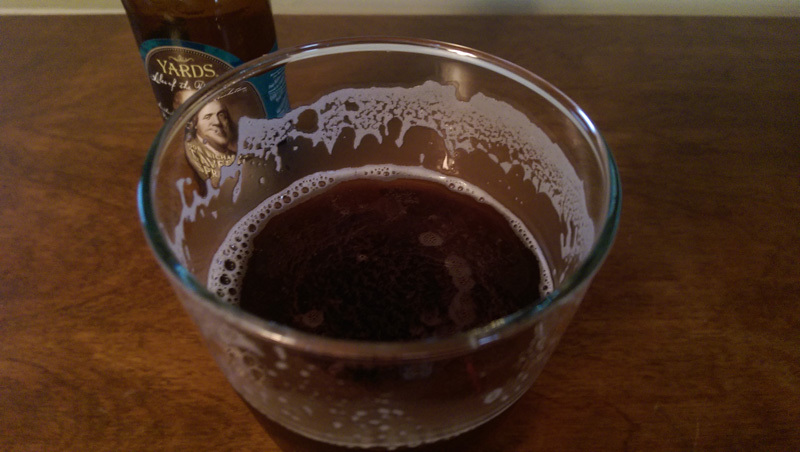 Making craft beer since 1994, Yards has been a favorite brewer of mine for some time. As such, I was surprised to learn the other day that they have an entire line of beers that I had never heard of called “Ales of the Revolution”. Today’s beer, Poor Richard’s Tavern Spruce is one of the three current offerings that also include Thomas Jefferson’s Ale and George Washington’s Porter. These beers are brewed according to the individuals original recipes, Tavern Spruce belonging to Philadelphia’s most famous resident, Benjamin Franklin. 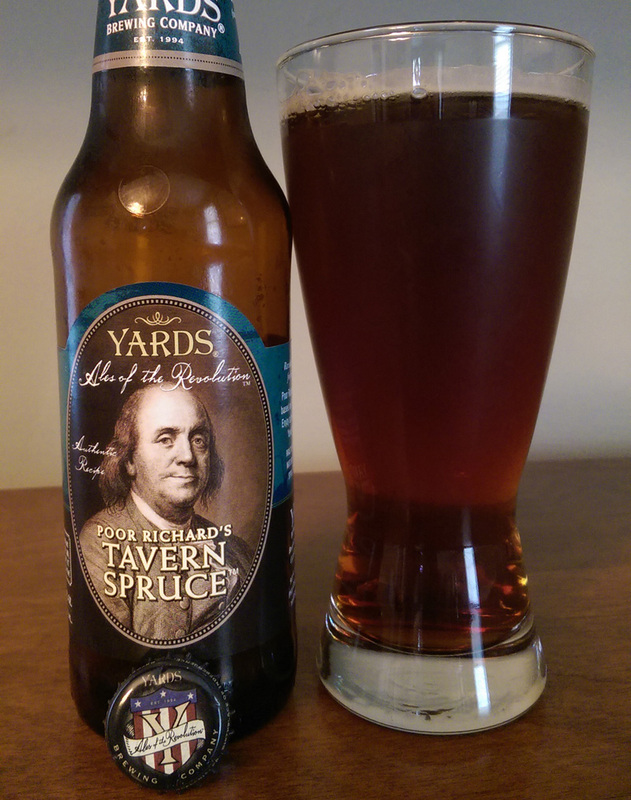 Tavern Spruce comes in a 12oz brown bottle featuring the bust of Franklin. Pouring a deep brown with minimal head but good retention that eventually settles to a thick collar. The aroma is full of malt and molasses sweetness which reminds me of some homebrew wort, pre hop additions. I am immediately struck with a pleasant earthy sort of taste. I’m happy to find the balance is actually quite good which I did not really expect with a beer that features molasses but with only 13 IBU’s. Has a clean, strong malt finish with a hint of citrus without being fruity. Tavern Spruce has a rich complex flavor. A bit of citrus from the spruce tips with a sweet malty backbone. I find none of the metallic after taste that can be found in other beers that feature molasses. Medium bodied with lower than average carbonation the beer might be a bit heavy for a night of refills but makes a great one off beer with a meal. This was my first beer brewed with spruce tips and I found it to be a very enjoyable adjunct. The taste might not be for everyone (as evidenced by its beer advocate score) but I did not find it off putting in the least. In fact, I now find myself planning out my own spruce beer. Add in the fact that this was brewed to Benjamin Franklin’s own original beer recipe and I can’t help but fantasize about one of my favorite figures from American history going about the business of brewing his own personal beer, perfecting it time and time again just as I do. Can’t wait to try out the other two offerings from Yards Ales of the Revolution line. Poor Richard’s Tavern Spruce is a unique beer that is certainly worth the try. Let me know your thoughts in the comments below.